Today is World Ocean Day, so I am writing about one of the coolest animals in the ocean, the loggerhead sea turtle. These beautiful turtles grow to about 1 metre long. 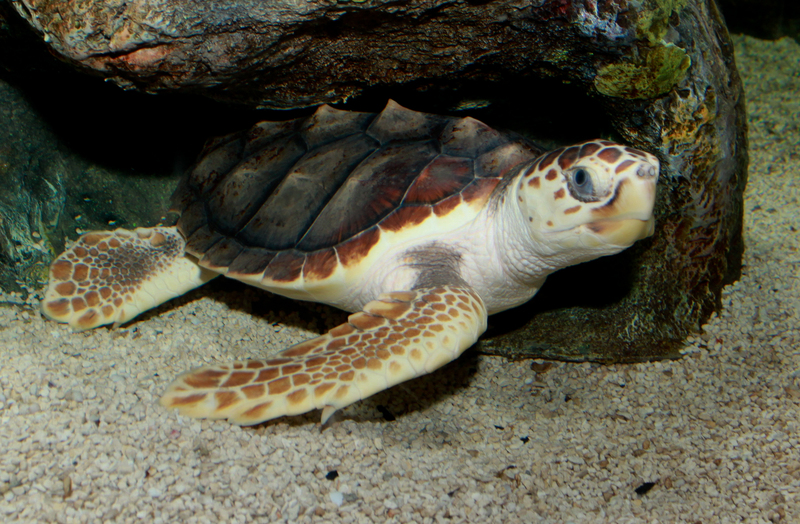 Loggerhead sea turtles use their very powerful jaws to eat a wide range of food. They mainly eat bottom-dwelling animals such as crabs, clams, mussels, sea urchins and sea cucumbers. They also eat jellyfish, fish, squid and plants. They are excellent swimmers and spend about 85% of their time underwater. They can go without breathing for up to 4 hours. Breeding time is the only time that females come onto land. They dig nests in the sand and lay about 100 eggs. The baby turtles make their way straight to the water. They spend their first few years on large rafts of algae in the middle of the ocean. Loggerhead sea turtles are the most widespread of the seven species of sea turtle and can be found in the Indian, Atlantic and Pacific Oceans and the Mediterranean Sea. They are considered endangered, mainly because of damage to nesting sites and the large number of baby turtles that don’t make it to adulthood. Are there any other interesting facts that you would like to share about loggerhead sea turtles?